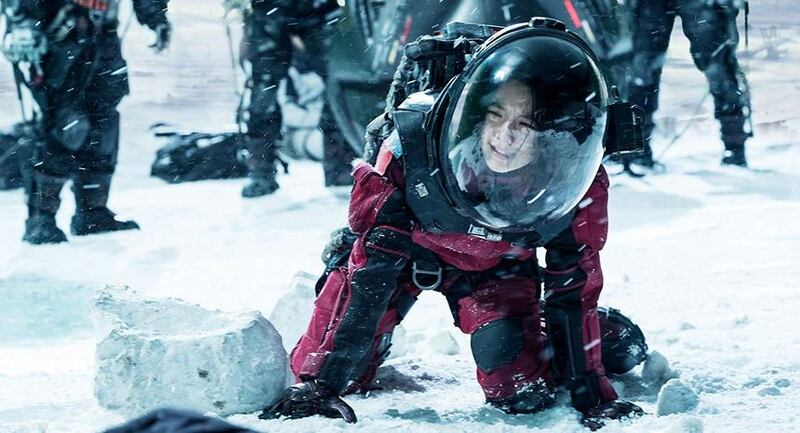 In just nine days, Chinese sci-fi film The Wandering Earth has made $420 million at the Chinese box office alone and will soon become the second film to reach three billion yuan within ten days of being released. This also makes it 2019's largest grossing film to date with some box office prognosticators wondering if it will even out perform Captain Marvel. Now, here's the crazy part. The production budget of the film is estimated at a mere $50 million. In the epic, post-apocalyptic space adventure, the sun died out so people all around the world built giant planet thrusters to move Earth out of its orbit and sail it to a new star system. Yet the 2,500 year journey came with unexpected dangers and, in order to save humanity, a group of young people in this new age of a wandering Earth must bravely fight for the survival of the human race. Personally, I'd never even heard of the film directed by Frant Gwo, so I was glad to learn it looks as incredible as I could have hoped. The production design is reminiscent of the best of recent Ridley Scott space exploration films like Prometheus.